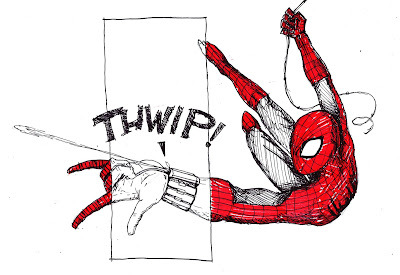 A look at spider-man’s essential but unappreciated equipment – his web shooter. Very nice illustration of the S-man. Very nice! Nice work there, cool pose! spider-man is such a great character to illustrate! you did a great job on him!